The King Edward Hall stands facing the Pond and is dedicated to the memory of King Edward VII. In 1887 the idea of a Public Hall dedicated as a Jubilee memorial to Queen Victoria was initiated by a Dr. Daunt but owing to this proving unpopular the whole idea was dropped. Twenty-four years later there was a change of mind and the present Village Hall was built on land donated by Mr Sturdy of Paxhill (this land was part of the Pear Tree House garden and stables). The Hall was built by Messers. Norman and Burt of Burgess Hill and Mr Walter Tower of Old Place was the Architect. There had been Fetes and Bazaars held to raise money and donations were received and soon the required amount of money - £2,200 - had been raised. That all things work in peace and harmony. In the old time did for posterity." Later the North Porch and a rear lean-to room were added. What has the King Edward Hall been used for? From the outset the Deeds stipulated that a Social Club be run on the first floor. At first this was The Lindfield Mens Club, but in recent years this has become The Lindfield Club. It has a membership of around 1,600 and is open to all by application. During the First World War the Hall was used for a hospital run by the Commandant Mrs Godfrey Hooper who, together with her husband, gave much time on behalf of The British Red Cross. There were many Belgian solider patients under her care and she was decorated with the Belgian Order of the Palms of the Crown. During this time the Hall was also used as a Convalescent Hospital for wounded troops returning from fighting on the Western Front and, in nice weather, an awning was erected outside with seats to allow men to enjoy the scenery and relax and recouperate. 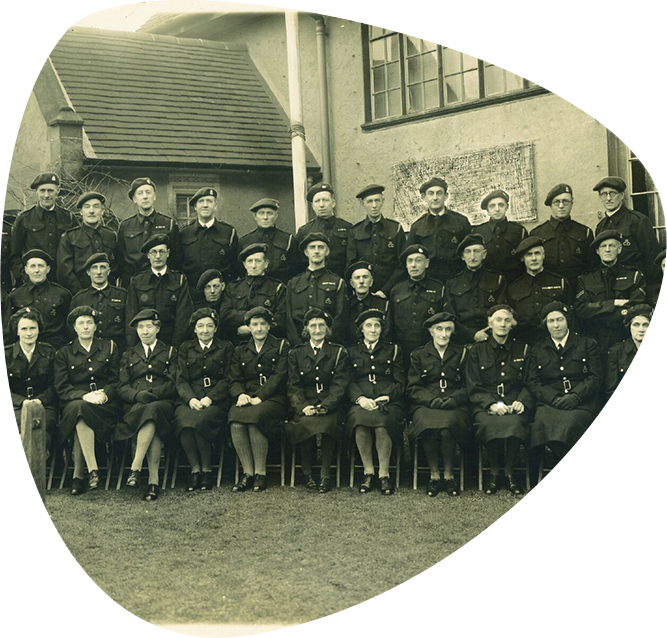 In the 1939-45 War there were Canadian soldiers stationed in many of the big houses in the village (in particular at Paxhill) and the King Edward Hall was used for many social occasions. There were wonderful parties for the children of the village - the Canadian solders were very popular due to the fact that they had sweets for the children! There would be dances held by the Canadians for the young people of the village, and - in fact - many of the young girls attending eventually married Canadians, and went to Canada to live. 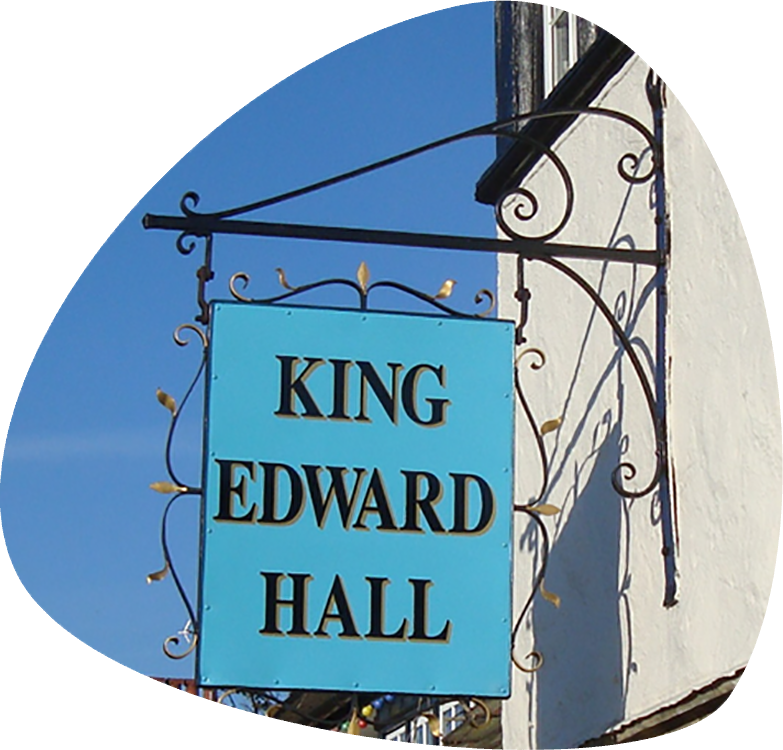 The King Edward Hall was also used during the Second World War as the Reception Centre for Evacuees and school lessons were held there. A Library was established and was very popular, but sadly this eventually closed in 1982, but the room - still referred to as The Library. In 1977 to celebrate the Silver Jubilee of Queen Elizabeth II, it was decided to build an extension due to the popular use of the Hall's facilities. This was duly opened and is known as The Jubilee Room. In March 2014 the Main Hall was renamed to The Newcombe Hall, in memory of Brian Newcombe a long time supporter of KEH. Brian was involved on the voluntary management committee for KEH for over 55 years, until his death in April 2013.